Based on a documentary of the same title, which was selected as a New York Times Critics’ Pick, A Sinner in Mecca unflinchingly showcases parts of the dangerous ideology that governs today’s ISIS and how much it has in common with Saudi Arabia’s sacred doctrine, Wahabi Islam. Sharma gives an intimate look into what went on behind the scenes of making the controversial film, as well as a deeper exploration of the stories among the Hajji pilgrims he encountered. 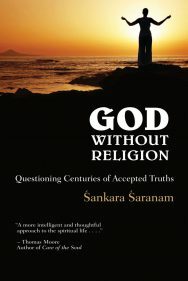 He also reflects on news of havoc around the Muslim world, and hopes, with this book, to significantly change the rhetoric and debate around his religion. 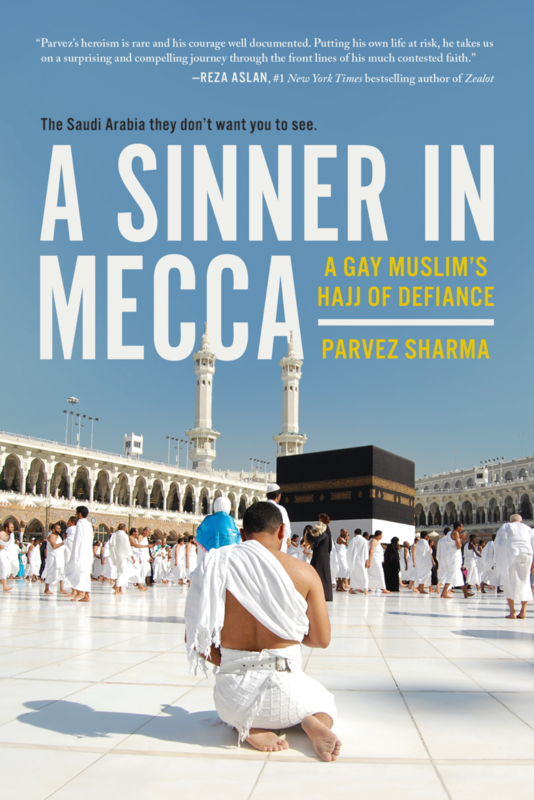 A Sinner in Mecca is simultaneously one man’s personal odyssey as well as a groundbreaking, provocative revelation of a forbidden world. Saudi Arabia is where Islam’s heart beats. But for gay Muslim filmmaker Parvez Sharma, the country presents two serious challenges: Filming is forbidden in the country, and homosexuality is punishable by death. For Sharma, however, these were risks he has to assume as he embarks on his Hajj pilgrimage, a journey every able-bodied Muslim is commanded by Allah to go on at least once in a lifetime. So equipped with nothing more than an iPhone, two smuggled, tiny cameras, and his faith, Sharma audaciously enters the holiest city that has been closed to non-Muslims for 14 centuries. On his journey, he tries to look beyond 21st-century Islam’s crises of religious extremism, commercialism, and sectarian battles. He brings back the story of the religion like it has never been told before, having endured the biggest jihad there is: the struggle with the self. Already labeled an infidel for his first documentary film, A Jihad for Love, about the coexistence of Islam and homosexuality, Sharma is in for the most personal and challenging journey of his life as he sets out on the Hajj, wondering if he can secure his place within a religion that condemns him. In Mecca, Sharma finds that he is at the ground-zero of Islam. He is at the frontlines of 21st century Islam’s battles of faith and violent rhetoric. The fault-lines of the faith he discovers in Saudi Arabia run deep. Based on a documentary of the same title, which was selected as a New York Times Critics’ Pick, A Sinner in Mecca unflinchingly showcases parts of the dangerous ideology that governs today’s ISIS and how much it has in common with Saudi Arabia’s sacred doctrine, Wahabi Islam. Sharma gives an intimate look into what went on behind the scenes of making the controversial film, as well as a deeper exploration of the stories among the Hajji pilgrims he encountered. 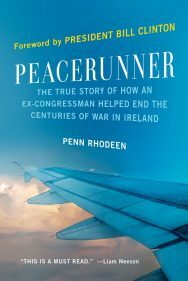 He also reflects on news of havoc around the Muslim world, and hopes, with this book, to significantly change the rhetoric and debate around his religion. This is the Saudi Arabia they don’t want you to see. Parvez Sharma is an award-winning filmmaker and writer. His film A Sinner in Mecca has garnered worldwide media attention and was a New York Times Critics’ Pick. He also directed and produced the multiple award-winning A Jihad for Love, which premiered at the 2007 Toronto Film Festival and opened the prestigious Panorama Dokumente section of the 2008 Berlin International Film Festival. The film went on to screen for over eight million people in 51 nations and was theatrically distributed in the US and Canada. He was named one of “50 Visionaries who are Changing your World,” in a list headed by the Dalai Lama. His writings on Islamic, racial and political issues have frequently appeared on The Huffington Post, The Daily Beast and The Guardian, to name a few. He has become a prominent speaker on Muslim issues speaking at hundreds of live events around the world and conducting workshops with the US State Department and Department of Homeland Security.